This is one of the path breaking technology in IT history that has transformed the way computing happens and addresses the growing environmental concerns as well. Virtualization is a foundation for cloud computing and adoption rate across industry segments is very high. Server Consolidation – Modern servers are much more powerful and can carry the load of many virtual machines instead of running a single OS on a single server that is mostly idle. Targus Technologies Virtualization services are aimed at helping you to create service-oriented infrastructures through decoupling your application from infrastructure which in turn means an automatic decoupling from physical location. - Server Consolidation – Modern servers are much more powerful and can carry the load of many virtual machines instead of running a single OS on a single server that is mostly idle. Increase productivity, collaboration, and communication within your business by having instant digital access to important files anywhere at any time on the cloud. Our consultants provide a variety of cloud-based services and solutions. Let us help with your transition to the cloud. 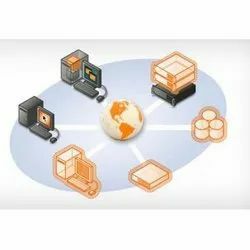 - Virtualization can be used to create efficient and cost-effective test environments for applications development, testing updates and software changes, and for training IT personnel. 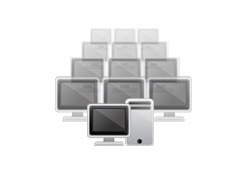 - Virtualization also saves costs for your server room, airconditioning, electricity, space, insurance and so on.